Wear My Design Contest ~ Philippine Freebies, Promos, Contests and MORE! Calling all aspiring designers! 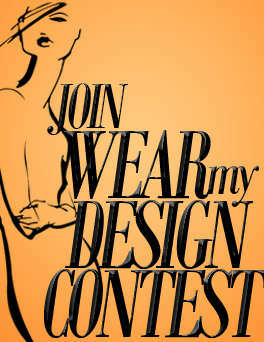 Break into the world of fashion in Ensembles' "Wear My Design" contest. If you love Ensembles' style, submit an application form and your own creation of a prototype dress. You can even let someone sew it for you as long as the idea is originally yours. Wait for your entry to be uploaded on their FB page then encourage your friends to vote for your design. There will be three to five winners (depending on the quality and suitability of submission) of P8,000 cash, P8,000 worth of Ensembles GC, two (2) pieces of your designed garment with your preferred color and size, a make-over by Piandre Salon, coffee and snack gift pack from Bo's, and a lovely gift pack from VMV Hypoallergenics. Your design will also be reproduced by Ensembles for Spring Dresses 2013 with your name credited as the designer.